Congratulations on your decision to get married. It’s an exciting time with lots of wedding planning ahead! 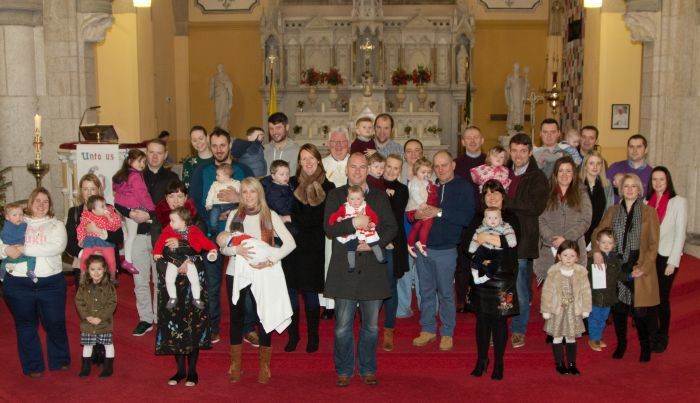 To arrange a marriage please contact the Parish Office 059-9161114 – 3 months notice is required. While you need only give three months notice of your intention to marry it is common practice for a couple to book the church a long time in advance. So it is important to contact the Parish Office to make sure that the church is available on the day you require. You will also need to participate in a marriage preparation course which is a lovely way for you as a couple to take a serious look at your own relationship. These courses are organised by Accord (the Catholic Marriage Advisory Agency). Click here for Course details. Marriage Preparation Course. While we will do everything we can to ensure you get the course you would prefer, it is advisable that couples book at least 2-6 months in advance in order to avoid disappointment. Due to the popularity of our courses, many of them tend to get booked up very quickly. 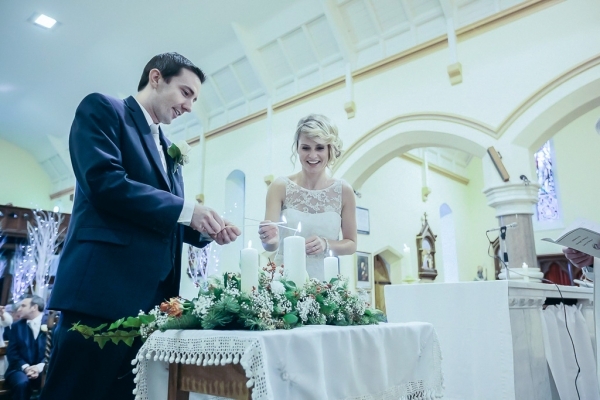 The sacrament of Matrimony celebrates a couple’s commitment to share the whole of their life together and to show the love of God to each other, to their children and to others through their relationship. Christian marriage is the place where husband and wife, children, family and friends meet God. The Church rejoices in your decision to get married and offers its continued support to you as you journey together. The Church (the people of God) sees your marriage as a sign of God’s love among us. As ministers of the Sacrament of Marriage to each other you choose to live your married lives within the community of the Church. The Sacrament enriches your lives in a very special way but it also enriches the community in which you will live. You become witnesses for Marriage to all with whom you make contact. Your parents, family members, friends, colleagues and neighbours celebrate your entry into Marriage and by their attendance at your wedding ceremony offer their continued support to you for your future. Your decision to get married is a sign of your love and of your desire to be together as husband and wife. ACCORD in helping you to prepare for your Marriage is privileged to be part of your journey and offers you its continued support throughout your married life.